I was fortunate enough to receive an advance copy of this anthology. 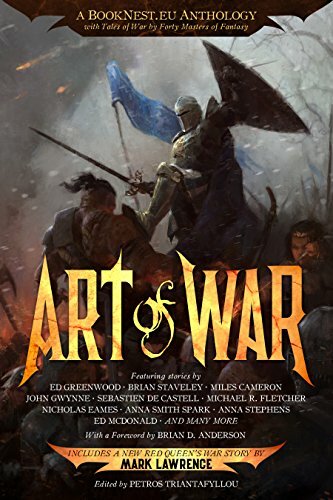 It’s edited by Petros Triantafyllou of Booknest, and contains forty dark and bloody tales of war from an outstanding field of authors. The proceeds are to be donated to Doctors Without Borders, so you can get your grimdark war fix and actually contribute to some good in the world! I don’t get a lot of time to read. Between five kids, a full time day job, trying to finish my novels, working on my adventure gfx game engine, and church, I barely have a spare moment. I seriously read just a few pages in the evenings before bed, and it takes me ages to finish anything. I had forgotten how much I liked short stories, because they fit into my schedule better. I can usually finish one in a single sitting. It’s a shame the art form isn’t more popular. 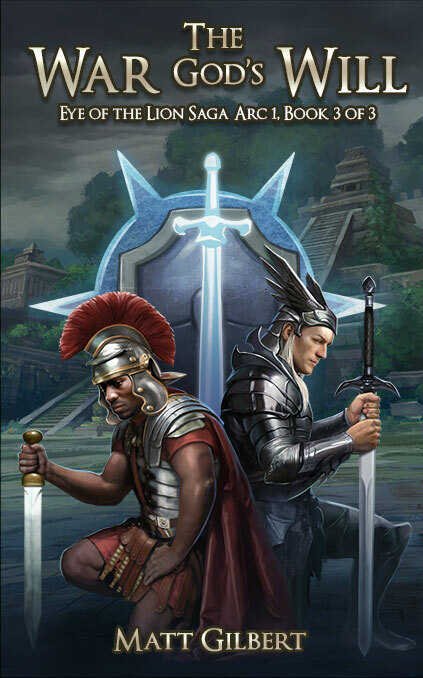 That’s how I slowly worked my way through Art of War, and I thoroughly enjoyed it. As with any anthology, there were stories that really resonated with me, and a few that didn’t grab me. All of the stories were at least ‘ not bad’, but a few left deep impressions. My favorite was “This War of Ours” by Timandra Whitecastle, a surreal tale of a desperate conflict between forest creatures that reminds one of children’s fables. Imagine the characters from Henny Penny or the Fox and the Grapes taking up weapons of war and destructive magic and going at one another in an organized manner, with all the fear, pain, and misery that entails. I highly recommend it. I also especially liked “The Hero of Aral Pass” by Mark Lawrence; “The Best and Bravest” by M.L. Spencer, “The Two Faces of War” by Rob Hayes, “Warborn” by C.T. Phipps, “Valkyrie Rain” by Dyrk Ashton, and “The Cost of Power” by Ulff Lehmann. Overall, 4/5, well worth the price, and you’re helping a worthy charity. And people say grimdark is all grim and dark…. I am four chapters from being done. I know I am hella late on this, but I have just had a lot of real life delays. The good: I thought my day job would be part time, but it has been full time. The bad: a death in the family really took my focus away toward the end of the year. The unpredictable: I have 5 kids, so it’s always a case of controlled chaos. I am back on the horse, now, and I think I can get this done, edited, and final by Spring. It’s coming, and it will be worth the wait, I promise. You are currently browsing the Nihlos blog archives for February, 2018.